Each workshop will consist of both theory/discussion elements and physical/practical elements. We will take time and explore each topic in great detail, answer questions and work together on practical tutorials and techniques. Students will also be given techniques and practices to take away and continue practicing at home if they wish. These workshops are suitable for all levels and are delivered in a clear and concise way so that students will leave with a firm understanding and confidence of each topic covered. Think of these workshops as your bi-weekly opportunity to delve into all things Yoga! How does our breathe work? How does it vitalize and nourish us? how should we breathe normally? How should we breathe in Asana? These are some of the questions we will be exploring along with detailed discussion and practical techniques to help us better understand how our breath is the key to unlocking a huge part of our potential. We will also uncover the mystery of the bandhas. What are the Bandhas? The bandhas are both physical and energetic locks that help us to deepen our physical yoga practice, awaken dormant energy and generate inner vitality. Vinyasa or (flow yoga) has fast become a very popular style of yoga, one of the reasons for this is that Vinyasa gives students exactly what they want… a fast, challenging and sweaty yoga experience. This is mostly what comes to mind when people think of Vinyasa yoga. If working up a sweat is the only objective on our mind when we practice we are truly missing the essence of what Vinyasa is all about, and what it has to offer us. In this workshop using discussion, practice and workshop style tutorials we will completely breakdown the bio mechanics of the vinyasa movement, the sun salutations and the breath. We will explore whether jumping forward and jumping back should be a part of your practice, and we will work to master some of the key vinyasa standing poses and transitions. we will aim to uncover and reveal the underlying concepts and ideologies of the Vinyasa practice. Once Understood we will work towards bringing them to the forefront of our practice. This inversion workshop is based on all things inverted!! 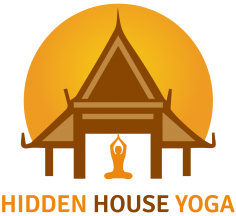 From headstand to handstand, forearm stand to shoulder stand and all variations in between, you will be given the step by step keys to unlocking the strength and awareness these postures require from us to include them in our daily practice. From warm-up and maintenance exercises to tips and tricks for building strength, we will explore new ways of moving your body through space. Explore your own practice in a safe and comfortable environment while challenging your boundaries. Explore your capability to be unsteady, to fall and get back up, and maybe… just maybe fly for a few seconds. Those new to the inversion practice will learn tips and trick for building strength in their everyday practice, an understanding of the bio mechanics behind the different inversion postures, while also learning to remain calm and balanced while upside down. Experienced students can use targeted strengthening for breakthroughs they’ve been missing as well as an opportunity to add new transitions and sequences to their inversion practice. Lets explore all things hips! The hips are the biggest joint in our body and come with extremely complex aspect of anatomy and bio mechanics. Its often thought that often thought that if we do enough pigeon pose our hips will simply loosen and open but unfortunately its not that simple. In this workshop we will learn to stabilize and strengthen the hips, improve range of motion and mobility, and understand the anatomy and bio mechanics of this fascinating joint. With our new found knowledge we will start to work with hip openers safely opening the hips in all planes of motion and attempt a sound lotus posture or easier variations. This workshop is designed to give you a clear understanding of the basic elements to achieving lift in arm balances. from their most foundational and basic form to their intermediate and advanced progressions. Through a deeper understanding of the foundation alignment principles and the bio-mechanics behind each arm balance posture, drishti, core and internal muscular line activation, bandhas, coiling, the principles of weight transfer and more. You will have the opportunity to work your way up into your very firsts arm balances, fine-tune your practice and rectify old or bad habits, or perhaps even try some new and challenging lifts. We will have heaps of fun exploring and unlocking the different components required for each arm balance. While these poses challenge our perception of ourselves and often bring our limitations to the forefront of our awarenss, they also build great focus and commitement to your practice. Lecture/discussion and meditation, This in a non asana based workshop. We will work explore the different yogic cleansing principles and practices. Strengthen, stabilize and mobilize your shoulders. The shoulders are a very unique component of the human body. they are expected to provide a large range of mobility and stay stabilized at the same time. Lets learn how to asses our shoulders, some of the major functions of the shoulders, Some of the major bad habits or faulty movement patters of the shoulder, and all the best ways to safely mobilize, stabilize and strengthen your shoulders. for Booking and reservation please call or email us.